Use banners to let people know about your fundraising event, church program, or school happenings. Think green! Made from HP HDPE scrimless banner material and printed with water-based latex inks these banners are as beautiful and durable as traditional vinyl banners without the negative impact on the environment. Return the banner to us for recycling through HP's Take-Back program. They will ensure it is repurposed and does not end up in the landfill. Banners displayed on a banner stand are used by businesses to promote in-store specials, as tradeshow displays, and to draw people into their store. 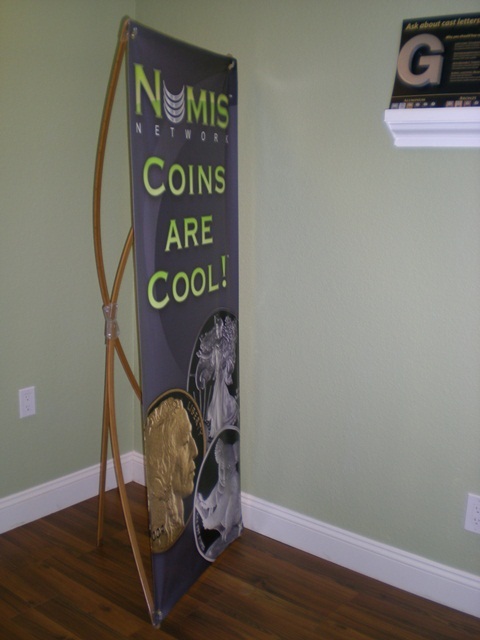 Banners on banner stands come in a variety of sizes and price points - there's something for everyone. 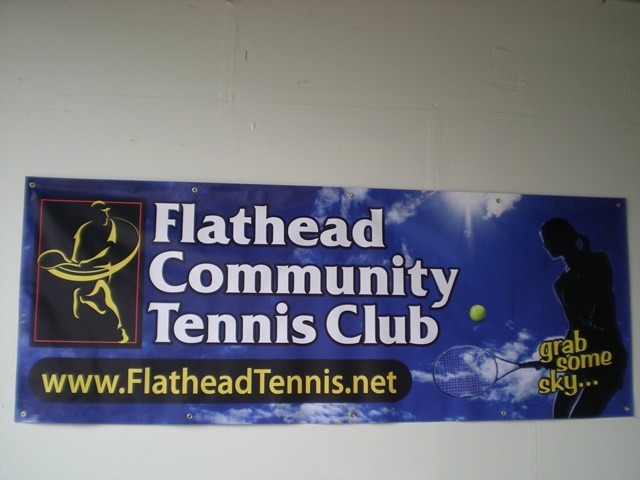 Sports clubs use banners to attract attention to events and to entice new members to join the club. A well-designed sports club banner can do both! 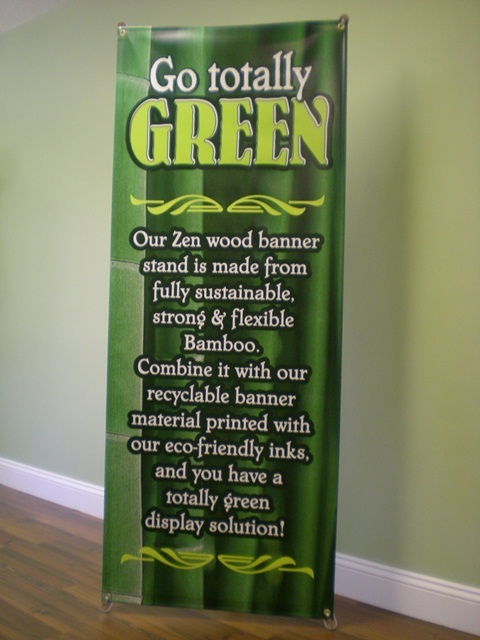 Combine a recylable banner with a bamboo banner stand for a totally green banner display! Let your customers know you care about the environment. 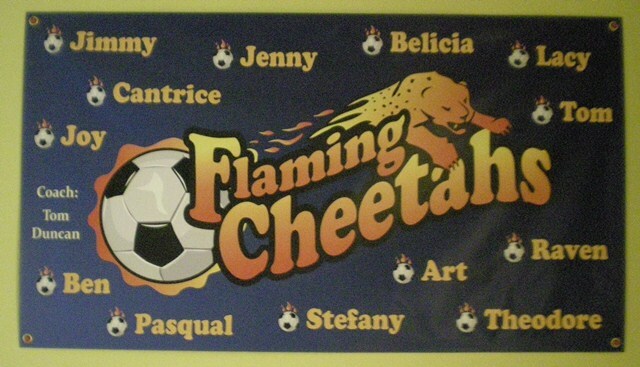 Team banners create excitement and promote support for the team and team members. The kids love to see their names on the banner and sponsors can get in on the action too. 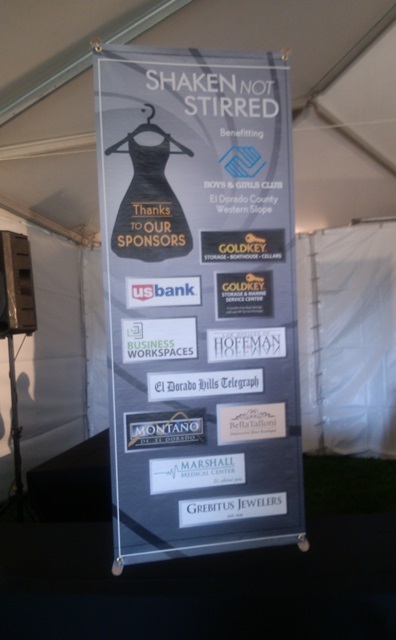 Business banners serve a multitude of purposes. Banners are an effective and affordable way to promote your business outdoors, in-store, at tradeshows or special events. 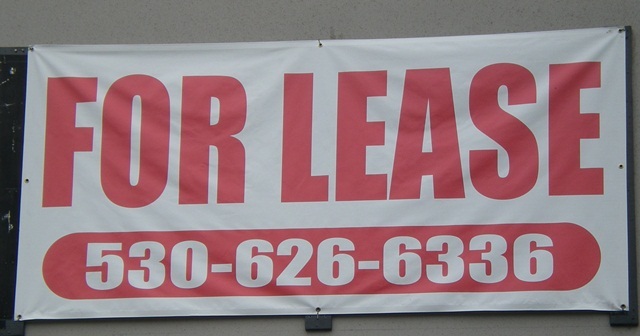 For Sale or Lease, Open House, For Rent... real estate banners are an economical option. 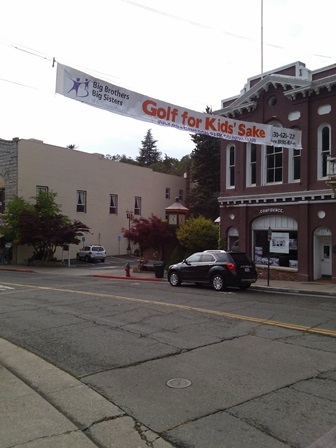 This 26” by 30’ double sided banner hangs over Main Street in Placerville CA. The banner lets everyone know about the fundraising golf tournament coming up for our local Big Brothers, Big Sisters organization.